With the new Dx-Speed, a convenient system for non-contact rotation rate acquisition on vehicles, CAEMAX has expanded its Dx sensor system, which won the messtec + sensor masters award in 2018. With the CAEMAX Dx-Speed, wheel slip and aquaplaning can be measured synchronously, precisely and without major effort on all four wheels. TheVibrationLab of the School of Mechanical Engineering partnering with Invicom Test & Measurement Sdn Bhd have successfully conducted a two day workshop for measuring vibration, sound, strain, force and temperature. The workshop was conducted on the 23-24th January 2019 at the Seminar Room, School of Mechanical Engineering, Universiti Sains Malaysia. Specifically designed for analysing daily measurement data, imc FAMOS is ideal for engineers and technicians who wish to solve their tasks efficiently. With imc FAMOS you can quickly and easily create professional reports of test results using drag & drop. Using functions like ready-made report templates, auto-fill, exporting and printing can shorten the entire process to just seconds. Connecting to an existing CAN bus system in order to measure or monitor communication - but staying neutral and nonreactive in any respect! imc CRONOSflex amplifier modules provide an additional global block-isolation. For this reason, they are well-suited for distributed installations. Global block-isolation comprises the entire analog front-end as a whole: all functions of input amplifiers, senor supply, bridge circuits, TEDS, etc. - across all channels. Thus, it does not constitute a complete, independent and channel-wise individual isolation. However, this property does indeed provide basic capabilities for noise suppression due to ground loops. Therefore it is very usefull a in distributed setups and can, to a certain degree, substitute "full blown" individual isolation. This property arises from the modules' individual isolated power supply. The strategic importance of Malaysia is in its location along the Strait of Malacca, which is a major sea-route connecting the Far East to Asia, Europe and the Middle East – as well as in its rapidly growing economy. Malaysian and Indonesian markets. The founder and managing director of Invicom, Faisal Nazamuddin, provides an insight into projects, applications and his relation with imc Meßsysteme GmbH. 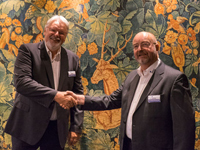 imc Meßsysteme GmbH has taken a stake in the Munich-based sensor and telemetry specialist, CAEMAX Technologie GmbH. 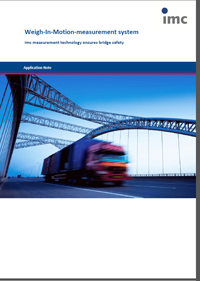 The goal of this relationship is to provide customers with complete solutions in the fields of vehicle and machine testing and to relieve the burden of demanding test and measurement tasks by taking on complete system responsibility. Once a test object is gauged, the connection of a data acquisition system to the strain gauges is a basic task. However, this task can only be performed once the test object is available, and the testing can only proceed once the connections and calibration of the inputs are verified. 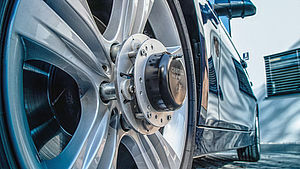 The connection, using conventional screw terminals, provides a temporary connection that can be easily removed, but this still takes time to insure performance and the correct connectivity. The imc systems, in conjunction with the optional Termination Boxes from imc Partner A-TECH, can reduce the time needed for connection of each channel dramatically. The Automotive Testing Expo China opened on 15 September to tremendous success, with almost 3,000 attendees walking through the exhibition doors on the first day alone. 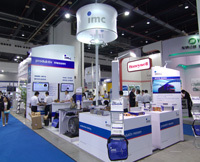 Productive vehicle testing solutions were presented at the imc booth - a lot of customers stopped by. All in all: a sucessful event.